The social network said in a press release attached to the announcement that it wants to express “who we are and why we exist.” The campaign is the work of agency Wieden and Kennedy, Facebook’s existing agency of record, and the first video embedded below focuses primarily on chairs. Yes, the things you sit on. 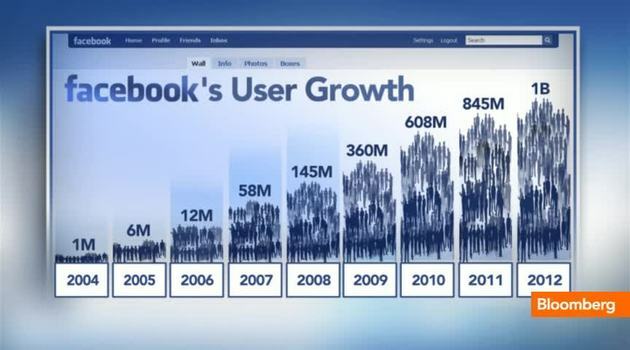 The timing of this campaign’s launch, coming alongside the 1 billion user milestone, along with the countries it’s targeting initially, could indicate that Facebook wants to expand its brand presence in markets where it already has considerable penetration. The idea might be that additional outreach and marketing efforts can help it get past a potential growth plateau and reach even wider market saturation, possibly in less tech-savvy demographics. But the strategy seems initially aimed at existing users, so it could also be the case that this is an attempt to ramp up engagement and make Facebook users feel more connected and invested to the brand, and less likely to wander. Whatever the case, it’s a well-shot, well-edited video, and it’ll be interesting to see what else comes out of the promotional effort. Tags: 1 billion, 13 countries, agency, brand advertising campaign, brand presence, campaign, commercial, Facebook, Facebook advertisement, first Facebook ads, growth, launch, market penetration, milestone, press release, social network, user, users. Tags: Adobe, Apple, cash, customer, growth, infographics, market share, Netflix, New Zealand, Nokia, RIM, Twitter. Oh, Pinterest… “The Power of Pinterest”. The number of Pinterest users to visit the site daily has gone up 145 percent since the beginning of 2012 Pinterest content is very different in the UK, and more centered around venture capital, blogging resources, web analytics and the like Over 80 percent of pins are actually re-pins rather than brand new content Pinterest user growth is better than that of Facebook and Twitter at the same point in their history. Tags: Facebook, female users, growth, Infographic, Pinterest, This Is Everything You Need To Know About Pinterest, Twitter.